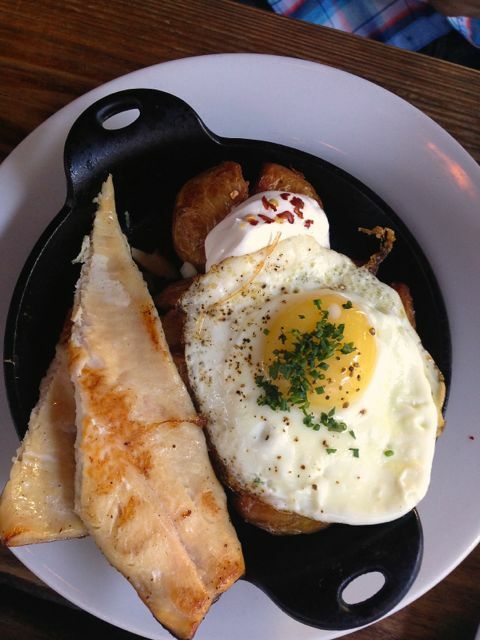 I, of course, got the Eggs Bennies and my husband got the Campfire Skillet with smoked trout. The prices were so reasonable and she said that his wasn’t huge, so we went ahead and tagged on the Buttermilk Poppy Seed Pancakes with lemon curd. I know when prices are cheap you shouldn’t just order more, but for some reason pancakes were sounding good and I’m a sucker for lemon curd. 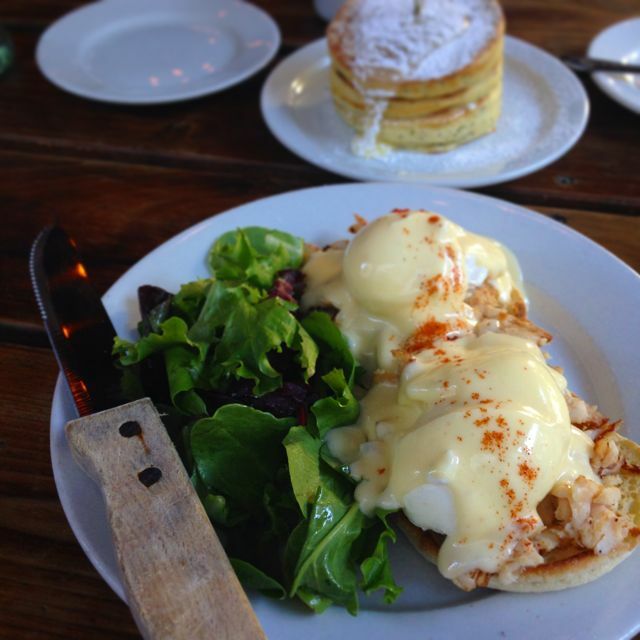 One of the best Eggs Benedicts in Portland. I got mine with smoked trout, but the holladaise sauce was perfect. I loved this dish and can’t wait to get back for another. The Campfire skillet was also really great. We would get that again in a heartbeat. There were crispy potatoes underneath. 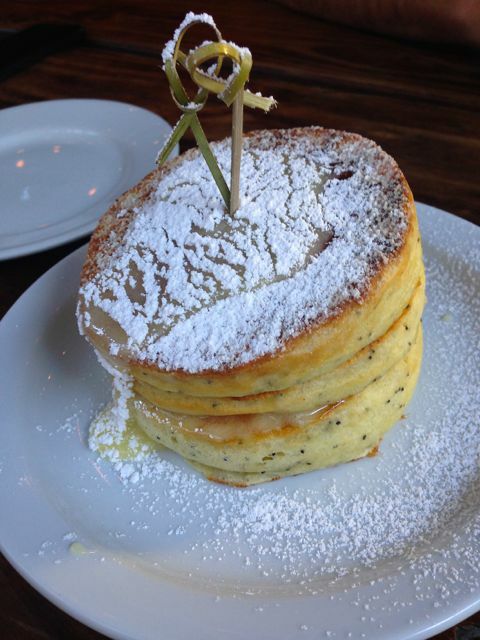 Poppy Seed pancakes with lemon curd. Don’t miss these. The beautiful Poppy Seed Pancakes were amazing as well and the lemon curd just put these over the top. They weren’t huge, but actually a perfect size and at just $6 it makes for a great breakfast option. Interurban has great outdoor seating. Atmosphere is very cozy in this wooden bar. There is also great outdoor seating. We were sitting up higher by the fire pits. Service was great. She was helpful and was on top of everything. Pricing was $10 for our entrees. I can’t remember the last time I saw Eggs Bennies this cheap. Drinks were aplenty here, it is a bar after all. But we chose coffee and tea. 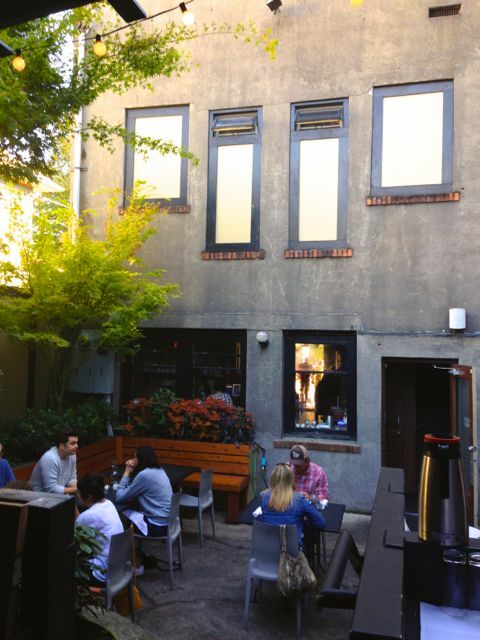 Interurban is located on Mississippi St.